In this article, I hope to spark interest in a conceptual framework that can help the armed forces to prepare for what is likely to be a future of rapid change calling for frequent adaptation. The definition of Adaptive Leadership as “the practice of mobilizing people to tackle tough problems and thrive” suggests its military usefulness. Adaptive Leadership is less a theory than a complex tool kit of ways to lead through difficult change. Some of the methods of Adaptive Leadership complement other approaches to warfighting, such as Clausewitzian friction and centers of gravity, and Colonel John Boyd’s Observe-Orient-Decide-Act cycle, or OODA Loop, but the ideas of Heifetz and company bring value added, as I will show. A great strength of Adaptive Leadership is the way it acknowledges the dangers of leadership and of change. Other approaches to leadership address the the role of leadership on bringing about necessary change, but writers on Adaptive Leadership have developed a vocabulary and a framework to directly address the fact that real change is usually extremely difficult for institutional and psychological reasons. Adaptive Leadership is inherently concerned with change and may be said to begin with the assumption that leadership involves change, since a static, unchanging situation is more amenable to the skills of the manager. Problems requiring the use skills and procedures already in place are referred to in Adaptive Leadership parlance as technical challenges. Writers on Adaptive Leadership often point out that much of what passes for leadership in an organization is merely competence or conformity. Real leadership is rarely authorized, since it departs from expectations. Anyone who steps forward to create real change, as opposed to meeting technical challenges, the exercise of already learned skills that is sometimes mistaken for leadership, will encounter resistance from above and below. True leadership is called for in the face of what Heifetz and Linsky have termed an adaptive challenge. This is a state of affairs in which existing competencies and skills simply do not match the requirements of the situation, in which real change, often in the form of learning and letting go of old competencies and relationships, must take place. This aspect of Adaptive Leadership gives new ways to think about the trade-offs and vexing choices of all military operations. To use a biological metaphor in frequent use in Adaptive Leadership circles, it both appeals to military DNA, reinforcing and enriching other concepts of leadership and warfighting, while it also brings a different perspective. But uncontrolled disequilibrium can be destructive, and it is usually harder to moderate than it was to incite. In a leadership context, effective disequilibrium often requires that people be upset enough to consider new ways of doing things. Marty Linsky has referred to this in the classroom as disappointing people at a rate they can understand. Examples of the use and abuse of disequilibrium abound in history. Franklin Roosevelt, Ghandi, and Martin Luther King were leaders on a national or societal level who understood the disequilibrium idea instinctively, or in other terms. Hyman Rickover was an organizational leader who saw clearly the need to trouble a triumphant and complacent post-World War II Navy to create a submarine force for the future. His staff proposed technical solutions to the challenges of the new weapon, but he made them see that a great deal of learning would have to take place, not just instruction manuals but whole new industries would be required. His interviews of prospective submarine officers were famously unsettling and even seen as expressions of personal eccentricity, but he wanted men comfortable with change. All of theses historical figures introduced measured amounts of disequilibrium into societies they saw as facing major adaptive challenges. Sometimes they may have overstepped, as when Roosevelt tied to pack the Supreme Court. Ghandi and King tried to control the disequilibrium they created by using non-violent tactics. Their deaths by assassination illustrate the deep resistance to change those trying to exercise real leadership may face, as well as the tendency for forces of disequilibrium to rebound on someone who takes the risks involved in stepping forward to lead. Like the adaptive leader, a warfighter is intent on bringing about change under conditions of risk and uncertainty. 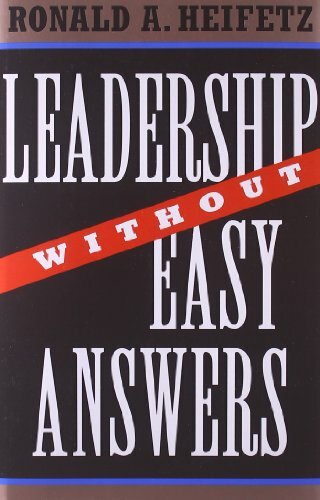 In fact, it might be argued that Adaptive Leadership practiced, if unknowingly, by the warfighter more than others who attempt to exercise leadership, since armed conflict is arguably the most subject to rapid change and the least subject to rule of all forms of human endeavor. In a warfighting situation, the military leader unleashes forces of disequilibrium on adversaries in the form of such means as fires, maneuver, psychological operations, and deception, forcing them to move out of position, to halt an advance, to surrender, or simply to lose effectiveness as a combat unit. But in war at least as much as in other fields of conflict and change, the forces of disequilibrium are harder to control than to unleash. In war, the forces of disequilibrium unleashed in seeking to secure success may, unchecked, rebound, negating victory. In recent military history, the successes and failures of Operation Iraqi Freedom may be understood in terms of disequilibrium. American and allied forces subjected the Iraqi army and society to striking disequilibrium, dismantling the country’s armed forces and bringing down a regime. The failure to return the genie of disequilibrium to the bottle rebounded on the U.S. and and its allies, though, and the defeated and disregarded soldiers of the Iraqi army, left leaderless and unemployed, became agents of disorder, as have gangs of discharged soldiers throughout history. The disorder into which the U.S. had cast a fragile society became an insurgency, the flames of which have still not gone out. As the example of Operation Iraqi Freedom illustrates, the careful observance and control over states of disequilibrium is perhaps even more significant in counterinsurgency than in more conventional operations. A counterinsurgency force is generally attempting to maintain equilibrium, but the presence of an active insurgency often requires the use of disequilibrium, carefully measured in degree and duration. While the insurgents are still operating, it will sometimes be necessary to use force, searches, traffic stops, and detention. It may be small comfort to note that the same dilemma applies to the insurgents. At some point in the future, they aim at a state of their own desired equilibrium. If they exceed the people’s tolerance for disequilibrium, they risk a backlash. Such a state was reached in the Al Anbar awakening, which saw a reaction of the local populace against out-of-control insurgent violence. A vital part of preparing people to exercise leadership is the unraveling of leadership and authority. A position of authority does not confer the ability to lead. In fact, many practitioners of Adaptive Leadership would argue real leadership is never authorized, since it always involves change and, in that sense, a failure to meet expectations. People may be rewarded for leadership when in fact they have done the opposite, which is to allow accepted practices and attitudes to remain undisturbed. Some persons may be predisposed to exercise leadership, but leadership is best understood as a form of behavior, one that might be exercised by anyone, rather than as a permanent persona. Whether a person is junior or senior, holds a position of authority or no official position, we are all called upon to exercise technical competence and managerial or administrative ability, but when an adaptive challenge presents itself, leadership is required. In a military garrison or business setting, this most often means people have to change their way of thinking and to acquire new partnerships. In warfighting, adaptive challenges occur rapidly, up and down the chain of command and across the spectrum of conflict. The level of violence may quickly rise or fall, requiring totally different responses and calling on diverse skills. Lance corporals suddenly find themselves giving orders, and senior commanders may need to personally intervene on a small-unit level. There are many historical examples of this, some of the most vivid in the chapter in George S. Patton’s memoir War as I Knew It titled “Earning My Pay,” in which Patton narrates occasions when he had to take direct action to further the mission, even as an army commander. The most important form of adaptation in a warfighting setting is that which is being imposed on the enemy, who should be deceived into undertaking courses of action which are to their own detriment and compelled to modify their plans at a confusing and self-defeating rate. Finally, as many as possible should be convinced that to carry on the fight is wrong or pointless. The task of dismantling an enemy force, whether a conventional military organization or insurgency, is often highly decentralized, and it calls for both technical competence and adaptive leadership across an organization. This is a principle acknowledged but not always practiced in the military, where authoritarian methods can predominate. One of the benefits of a consideration of Adaptive Leadership is to provide a framework for a discussion of the risks and pitfalls of exercising leadership in a peacetime training or warfighting situation. 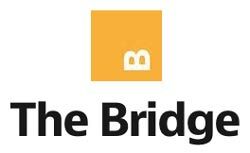 Whether private or general, a service member who upsets the expectations of followers, peers, or superiors by doing something new, or who moves out to impose a state of disequilibrium on an enemy unit, is risking something: life, reputation, the support and understanding of seniors and subordinates. These risks must be taken in wartime and they must be practiced in training. Adaptive Leadership concepts might be usefully incorporated into current thinking about training, education, warfighting, and of course leadership. By treating leadership as a behavior and not as a position or persona, it gives further depth to the idea that every person in uniform must be considered a potential leader, and to warfighting concepts like that of Clausewitzian friction. Instruction in Adaptive Leadership stresses on self-understanding. This is one of the aspects of Adaptive Leadership that resonates with military ideas about leadership, such as the injunction to self-knowledge and constant improvement. Adaptive Leadership may be said to go further than traditional ideas, however, by identifying some of the specific ways in which a lack of self-knowledge can impede efforts to exercise leadership. In battle or in garrison, a lack of self-knowledge may expose any of us to the influence of immunities, half-rational resisters to change. The self-aware leader will realize that, whatever change she is leading towards, she is likely part of the problem and must be subject to the change that is being considered. Those who lead must also change. Self-knowledge can develop a sense of our own limitations. 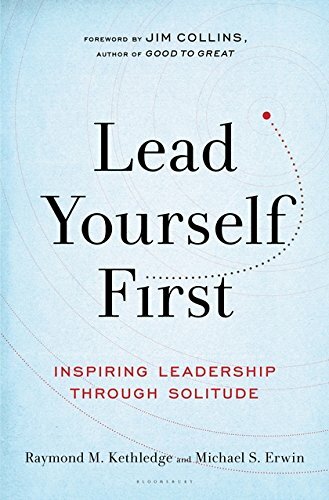 Leadership needs allies, and leaders also need confidants, along with a literal or figurative space of sanctuary from which to escape the cares and responsibilities of the day. Moderns often talk of facing the future. For the ancient Greeks, the future was coming up from behind unseen. In this as in other matters, the perceptions of the ancient Greeks were more realistic and accurate than our own. Whether the near future comes holding a bouquet or a bludgeon, it is going to require adaptation and innovation from all military members in their roles as leaders, warfighters, veterans, and citizens. Breaking down personal and institutional resistance to necessary change will be a big challenge. It sometimes appears the enemies of today simply want to go on fighting, seeking disequilibrium for its own sake. Some groups and individuals seem to have no agenda but Armageddon. Others have more spelled-out goals. Added to other destabilizing factors, this makes the amount of potential disequilibrium in the future almost limitless, and the demands for leadership and adaptation unprecedented. Reed Bonadonna is a former infantry officer and field historian in the U.S. Marine Corps. He has a doctorate in English from Boston University and was the Director of Ethics and Character Development at the U.S. Merchant Marine Academy. His book, Soldiers and Civilization: How the Profession of Arms Thought and Fought the Modern World into Existence, was published by the Naval Institute Press in May, 2017. He is at work on another book with the working title, How to Think Like an Officer: A Guide for Officers and Others. Ronald Heifetz and Marty Linsky, Leadership on the Line: Staying Alive through the Dangers of Change (Boston, MA: Harvard Business Review Press, 2002), 125-126. See Al-Anbar Awakening Volume II, Iraqi Perspectives, From Insurgency in Iraq, 20014-2009, Colonel Gary W. Montgomery, Chief Warrant Officer-4 Timothy S. McWilliams, U.S. Marine Corps Reserve (Quantico, VA: Marine Corps University). 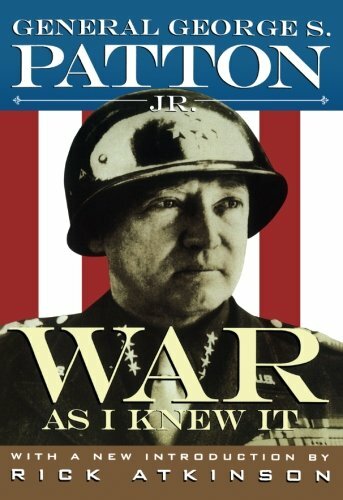 George S. Patton, Jr. War as I Knew It. 1947 (Boston: Houghton Mifflin, 1995). See Norman F. Dixon, On the Psychology of Military Incompetence (New York: Basic Books, 1976). See Robert Kegan and Lisa Laskow Lahey, Immunity to Change: How to Overcome It and Unlock the Potential in Yourself and Your Organization (Boston, MA: Harvard Business Press, 2009). Dr. Kegan teaches immunity to change in the Harvard Kennedy School Executive Education seminar on Adaptive Leadership.